Losing Sanity: Better: Is it your enemy? I was talking with a friend last week, because in my search for laughter I've made more time to be spontaneous and talk with friends, and she mentioned something that made me think. We were talking about schools. It was one of those conversations that is ENDLESSLY fascinating to parents and torture to anyone else. But in that conversation she said (and I hesitate to quote her because I know she reads my blog and I don't want to get it wrong but what the hell I think I'll take the chance), "Sometimes better is the enemy of good." 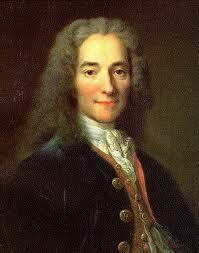 Turns out Voltaire said it first. It bears repeating. Sometimes better is the enemy of good. I thought about this statement all weekend long, and not in the context of schools. We are constantly encouraged to be better. It's not just writers or students or atheletes who suffer from this exhortation. It's everyone. Wherever we go, whatever we do, we are told to give a little more, go a little harder, be a little better. Even this blog has been known (on occasion) to look for ways to make a pretty good life, even better. But what happens when change is for the sake of change? Or to put it conversely, what if your need to be better holds you back from being good? Even though the comment was made in a conversation about kids and school, I couldn't help but apply it to my own life. Are there times when my need to be a better writer holds me back from being good? 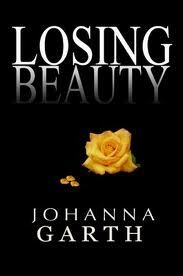 A few months ago my daughter asked me if, Losing Beauty, my first novel, would win any literary prizes. "Probably not," I told her. "No, it's good but it's not prize-winning good. It's not that kind of book," I tried to explain. We were both silent for a moment and then I added "but that doesn't mean I won't write that kind of book some day. It just hasn't happened yet." What I knew, but couldn't explain at the moment, is that if I refuse to publish something good, than I might not ever get to something even better. So that's where I am right now. I'm doing the best work I can. Could it be better? Absolutely. Will I let that stop me from being good? No. Because, to come full circle, I don't think there's any way to get better without making a long stop at good. My writing could be loads better. My attention to how much better most other writers are than *my good* is most definitely a hindrance to *my good*. I occasionally pause a wee too long entertaining these thoughts, with the notion that I am being realistic and practical. In fact, what I'm doing is giving up before I've even really started! Thanks for sharing this Good advice! Needed that. This thought makes me warm and squishy inside. I think I shall write it on a sticky note and put it on my computer. We could all be better but being good is very good indeed, I think. And as for your book not being prize winning, very few first books are. It takes practice to be prize-winning, lots of it. And being good enough to be published is pretty darn good in my opinion. Deep thoughts this morning! Maybe we should strive for our best rather than just better? Food for thought this morning. It can mean so many things. I do think good is a necessary place on the way to everything, best included. You are a gifted author with a knack for drawing the reader into your world! 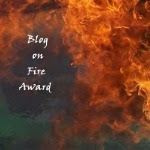 Fun books seldom win literary awards! But books like Losing Beauty win the hearts of their readers, and that is worth a lot more, in my opinion! I will still be your fan even when you have one that prize, because you hooked me first with Persey Campbell and her story! Johanna, we share this type of thinking. Now, fix the spelling of the word "occassion" in your blog and you will MAKE IT BETTER....haha....the devil made me do it! I love this column! It really needs to appear in several sources, because it is pretty darn amazing, and I don't think it gets much better than this. Such great advice! I struggle with letting go of a wip because I don't think it is perfect :) But good is good enough. Scarlett, I think we all have those thoughts! Beylit, sticky note on your computer!! That makes me so happy. Aww Connie, big hearts and hugs!! Krista, I think all of us struggle with this! Jenny, no worries. It'll be there!! I'm so glad I found your blog, you always give me something to think about. This is definitely a constanst struggle for me-- waging war against some elusive standard of how my life SHOULD be. Thank you for this post. I will no doubt be thinking about it for awhile, too. Interesting take! I'd say yes and no. Yes, better is the enemy of good if it means otherwise you would be stuck forever fixing and never get your work to the next level, whether that means to an agent or to your Kindle. But the question is more complex if "good" means lacking in professionalism, expertise and excellence. Too many instant, not vetted products (from books to websites to laws!) can diminish standards and hurt all of us in the long run. It's a fine line and a timely question. Lauren,I'm glad you did too and your blog always makes me smile! Jodi, yes, absolutely and that's the tricky fine line (and quite possibly a whole different blog post). Thanks Jenny! Likewise and hopefully our good is just getting better but not standing in our way. Excellent post! That is such a good point. When I did my fostering course we were told to aim for 'good enough parenting'. Giving children in our care what they need seven times out of every ten. When I heard that I felt a huge sense of relief, because good enough is achievable. Sometimes you can exceed your goal, but you can always hit it. My New Year's resolution was to expand that out to the rest of my life, and so far it's working really well. I tend to push myself too hard, and feel like a failure when I miss my over-ambitious targets. That is food for thought. Sometimes being good, is fine. Why stress and keep wanting more and more...better and better....good can be very satisfying.